The Explainer's Michael Jackson roundup. Lunar moonwalking, child custody, and made-up words. Pop icon Michael Jackson died of undetermined causes on Thursday. He was 50. Jackson’s eccentric personal life, as well as his unexpected death, raise all sorts of questions. Herewith, a Michael Jackson FAQ. Would it be easier to moonwalk on the moon? Absolutely not. While the lunar gravitational environment—which exerts roughly one-sixth of the earth’s pull—may seem favorable to soft-shoeing, humans are actually extremely clumsy on the moon. The habitual movements we make while walking on Earth are far too forceful for lunar walking, which is why, even after extensive training, astronauts hop rather than walk. 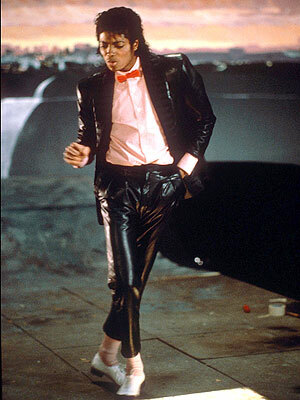 If Michael Jackson attempted his trademark move on the moon, he would fly into the air rather than sliding backward. Space suits also make dancing difficult: They don’t move with the wearer like a pair of poorly tailored black pants since they are pressurized with oxygen to approximate earthly conditions. While specialized joints improve the pliability of the space suit, flexing your legs on the moon is a bit like trying to bend an inflated football on earth. If Michael Jackson had $1 for every time someone did the moonwalk, he wouldn’t have had financial troubles. Could he have licensed his dance moves? Only the more complicated sequences. Since 1976, federal law has allowed for the copyrighting of “pantomimes and choreographic works” but not of isolated dance steps. So while Michael Jackson could surely have safeguarded the rights to the “Thriller” video choreography, he likely could not have licensed the moonwalk. (Besides, the moonwalk was probably not an original work.) Jackson does hold a patent on the specialized shoes he used in the leaning sequence of the “Smooth Criminal” video. The final minute of Jackson’s 1983 hit “Wanna Be Startin’ Somethin’ ” contains the repeated phrase “Ma-ma-se, ma-ma-sa, ma-ma-coo-sa.” What does that mean? Who will take custody of Jackson’s children? It’s too early to know for sure. A Jackson family attorney claims that all three children will go to Michael’s mother, Katherine. But the three face different legal circumstances. Debbie Rowe, the mother of the two older children, attempted to relinquish parental rights in 2001 but had the order reversed two years later. While this would likely play against her in a court battle, judges are generally reluctant to deny the custody claim of the sole surviving parent. Jackson’s youngest, Prince Michael II (also known as “Blanket”), was born to a surrogate mother. If the legal side of the surrogacy procedure was handled properly, the surrogate cannot now obtain custody. She would be, legally speaking, a stranger to the child. If, however, her parental rights were never properly extinguished, her claim to custody would ride on a variety of factors, including whether she was Blanket’s egg donor. If a custody battle ensues, Jackson’s family will likely stress the importance of keeping the three children together. Explainer thanks Thomas Pinkerton of the National Fertility Law Center, Jason Schultz of Berkeley Law School, and Phil Spampinato of ILC Dover.